Alberta’s diversity is one of its defining characteristics. While Jason Kenney has had to drop candidates and explain racist rhetoric made within his own party, Rachel Notley has a strong track record of making Alberta more welcoming. Notley has supported new language and cultural curriculum, supported immigrant entrepreneurs and created mentorship programs. 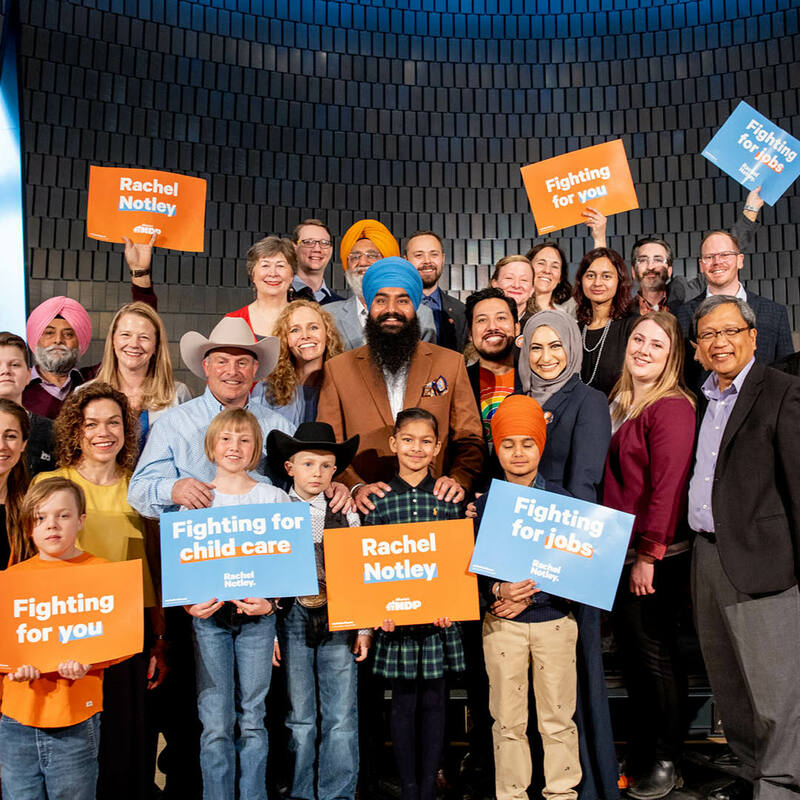 Fighting racism is key in all that Notley does, from the candidates nominated by her party to her unequivocal denunciations of public incidents. Following a horrific shooting in a Quebec Mosque in early 2017, Notley committed to a new anti-racism initiative in partnership with organizations, advocates and communities. Notley created Alberta’s first-ever Anti-Racism Advisory Council in February. Anti-racism engagements also led to the creation of a Foreign Qualification Recognition Fund, which will help regulatory bodies to measure skills and experience, not just credentials. A Provincial Hate Crimes Unit was also created as a result, giving police and prosecutors resources to fight hate crimes and extremism. Another win has been reforms to the Alberta Immigrant Nominee Program, simplified last year to clear up a backlog of workers seeking permanent residency to fill job shortages. By reducing wait times and removing an income threshold requirement, Alberta made the system fairer for everyone. Jason Kenney has regularly had to distance himself from his party members and candidates. Since the election began, two high profile UCP candidates in Calgary have had to drop out for racist remarks. Neither candidate apologized. After Eva Kyriakos resigned for promoting Islamophobic and transphobic conspiracy theories, Kenney thanked her for her "selfless" act. He did not condemn her remarks. He has since said his party won't revoke memberships of racists if they don't belong to hate groups. It’s part of Kenney’s long history of mixed signals and dog whistle politics. In Ottawa, Kenney dubbed himself “minister of curry in a hurry” yet touted policies that undermined the communities he visited. As gatekeeper for immigrants, Kenney shut down the Family Reunification Program for two years while he allowed wealthy people to jump the queue. Kenney's draconian cuts to health care for refugees was deemed “cruel and unusual” by the Federal Court. He made changes to the Temporary Foreign Worker Program that made it easier to exploit newcomers and undermined wages for Alberta workers. Kenney repeatedly used citizenship ceremonies as political props. In a staged ceremony in 2011, six federal bureaucrats were asked to participate for the defunct Sun News. Kenney refused to apologize. Also that year, Kenney dictated a “burka ban” policy that required everyone attending citizenship ceremonies to show their faces. Kenney’s government spent $400,000 in taxpayer funds fighting a Federal Court challenge to the ban, which was later overturned. Despite promises of better vetting, Kenney’s UCP party has failed to demonstrate that racism has no place in public debate. Notley believes that Kenney needs to do more to uphold the diversity that makes Alberta a welcoming place.